16 interchangeable rubber tipped digits of various sizes. The ultimate way to release your pain-causing muscle knots or trigger points, with innovative special techniques for myofascial pain of the shoulder, back, neck, extremities and fibromyalgia. 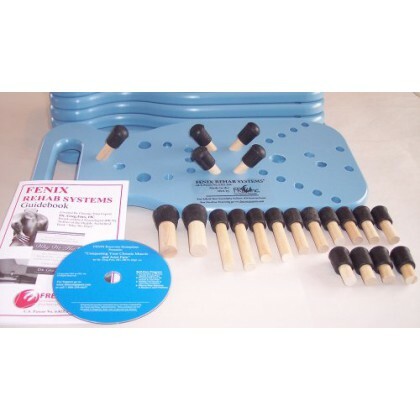 Large, stable Treatment Platform & 16 interchangeable rubber tipped digits of various sizes, lets you release trigger points or acupressure points anywhere on your body, all while you rest and relax with no pulling or straining.